Wondering What is Happening on Campus? 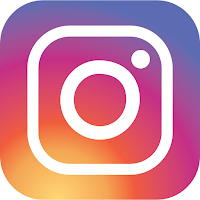 Keep up with our calendar and social media pages for all the latest news, events and activities! Check out our updated calendar page! Need some help fixing your resume? NSO will be hosting a Resume workshop open to any student where you can come to get all of the final touches on your Resume. This event will be held on January 22nd at 5pm in John Hazen White room 209. Come join NSO celebrate the new year with a social event at Launch Trampoline Park! Community Action Association Cleans Up Broad St.
On October 18th, CAA, and all of it’s new members, gathered trash bags and gloves in preparation to spend their Friday afternoon cleaning up Broad St. Eleven students had one task and one task only for the day and that was to fill up their extra large garbage bags with trash that blemished the streets of Providence. We started outside of City Burger, located on Pine St., and made our way to South Providence Neighborhood Ministries. During the day we picked up an assortment of items such as, papers, cups, bottles, plastic bags, cigarette butts, and their packages. Ironically enough, while cleaning up Broad St. many of us felt a sense of community whereas we felt that the people whom littered felt the opposite. We also heard frequent thank yous from strangers on the street that appreciated the fact that students were willing to do a good deed for others. This form of community service, while extremely labor intensive, allows volunteers to actually connect with the community. It gives us, as volunteers, a chance to truly see the change that we are making in the community compared to that of donating money. By not having a psychical role, or presence you would not be able to see the actual effect that your monetary donation has made. This also allows individuals that cannot donate money, to still participate and make a difference with their ability to donate time to the community. On October 4th 2013, Community Actions Association started planning to raise a goal of $500 for the Gloria Gemma foundation. A 5k walk would take place on October 13th. The group discussed possible ways to raise money including asking family and friends for donations, online crowd funding and passing out flyers. All donations had to be registered online at the Gloria Gemma NSO Community Actions Association team page. After about a week of fundraiser, we raised $270 dollars. We unfortunately did not meet our goal, but we were proud to have contributed to a good cause. Next year we plan exceed our expectations. This is an example of community service because CAA members not only raised money to financially support Gloria Gemma and the patients it serves, but we were also able to provide emotional support for cancer patients by participating the 5k walk. Along with working with Gloria Gemma, CAA has also previously raised $1300 and participated in a walk organized by the Muscular Dystrophy Association. Although CAA was unable to reach our goal of raising $500 for the Gloria Gemma Foundation, we still managed to raise $270 in a week. Next year we plan on allowing ourselves adequate time to prepare and fundraise prior to the event. We still feel like asking friends and family along with using an online crowd-funding platform was an excellent form of fund raising. Greetings from the NSO Office! Before you know it, term one will be over and you'll be a step closer to achieving your JWU educational goals. 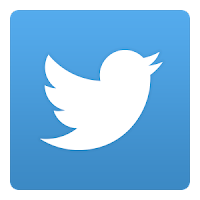 We hope all NSO students are enjoying their classes and time on campus. If you haven't already, be sure to explore involvement in one of the NSO divisions on campus. Regardless of which organization you participated in during high school (DECA, FBLA, FCCLA, SkillsUSA, etc. 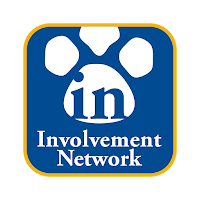 ), you may pursue involvement in any one, or all four, of JWU's divisions. Listed beside each NSO division below is a student contact. These individuals can give you info on their group, including any upcoming meeting dates or activities. Remember, being involved is one of the best ways to create lasting memories in college. Thank you to all students who have already paid NSO dues. The dues amount is $75 for all scholarship recipients. 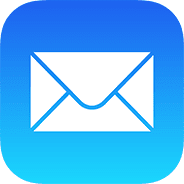 If you haven't yet, be sure to get your payment in by Friday, November 22, 2013, to avoid a late fee and ensure renewability of your scholarship. Payment should be made in person at Student Financial Services, or by phone at 401-598-1468. If you have any questions, give the NSO office a call at ext. 2345. Better yet, stop by and visit us at One Weybossett Hill (same building as the JWU Bookstore, downtown), on the 5th floor. We'd love to meet you. 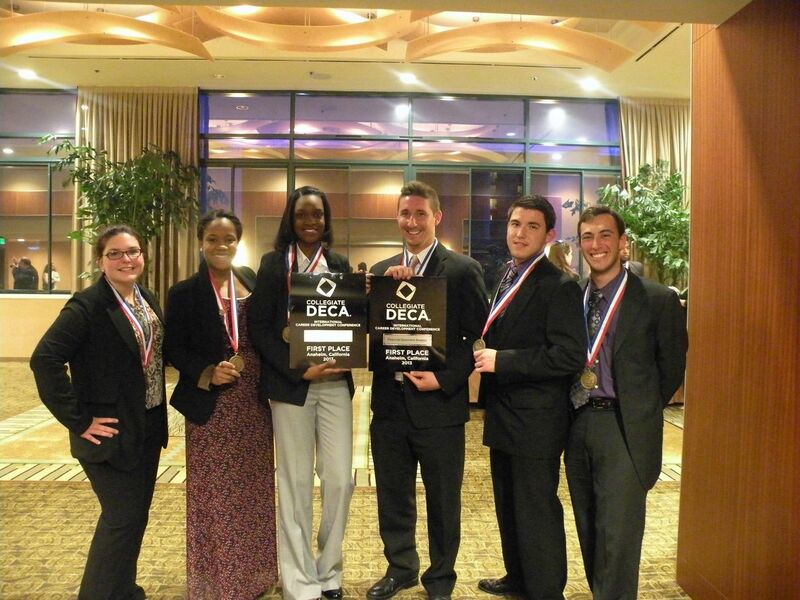 Congratulations to the winners of the PBL 2013 National Leadership Conference! Members from Johnson and Wales Providence's National Students Organizations have returned from members from Phi Beta Lambda’s National Leadership Conference in Anaheim, California. Around 4:30am Tuesday April 16th, 40 Johnson & Wales students from the Providence Campus set off to compete at DECA’s International Career Development Conference held in Anaheim California. These qualified students had previously proven their talent at the Regional Development Conference hosted by JWU. The Johnson and Wales contestants were joined by over 1,600 other college students from across the country and even other countries such as Canada. Each participant was challenged to compete against other highly qualified students. The competitions put students in the shoes of business professionals in several fields including Marketing Management, Sports & Entertainment Marketing, Financial Statement Analysis, Business-to-Business Marketing, Human Resource Management, and several others. These judged competitions rate the participant’s ability to react to a given situation in their career field choice. Johnson and Wales had several other victories as well. A total of 18 medals were taken by JWU Providence Student. These include first place in Financial Statement Analysis, three top ten awards, three finalist placements, top written test and the Executive Leadership Passport Award. Students also were able to network with various companies and hear from influential guest speakers. One of the more memorable speeches came from keynote Speaker Jill Blashack Strahan, author and founder of Tastefully Simple. Jill, as she prefers to be called, shared her rags to riches story and discussed the importance of setting goals. While in Sunny Southern California it was not “all work and no play” however. The students were also able to take advantage of the surrounding amenities. Disney Land Parks, Hollywood, and Huntington Beach were just some of the attractions visited by students. Students were also able to simply relax by the pool or connect with other competing students. By 8:30 am Friday April 26, 2013, Sayles Hall at Brown University was boisterous and booming as all types of professionals were meeting new people, networking, and spreading ideas. As the members of my class arrived, we soon realized that we were ten of youngest people in the building and soon became intimidated and meek. My class, the students in the Direct Work Experience Australia class, frankly didn’t understand what we were getting into. Instead of engaging in our opportunity to network, we opted out, grabbed breakfast and scurried to our seats. As we sat, mainly in silence, a few of us whispered, “When is this going to start?” “Where are we presenting?” “When are we presenting?” The nerves were finally kicking in, and we were ready to get this presentation over with. Medhi Moutahir, our professor who guided us, gave us a topic, and challenged us to get to where we were now sitting at the Social Enterprise Ecosystem Economic Development Summit, hadn’t really prepared us for to whom and when we were presenting , so as time passed we became even more anxious. 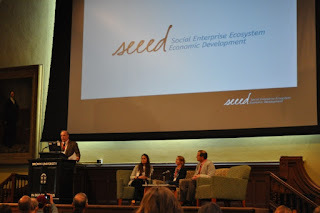 The SEED conference began with two hours of opening remarks, what SEEED was all about and their initiative, followed by a keynote conversation. 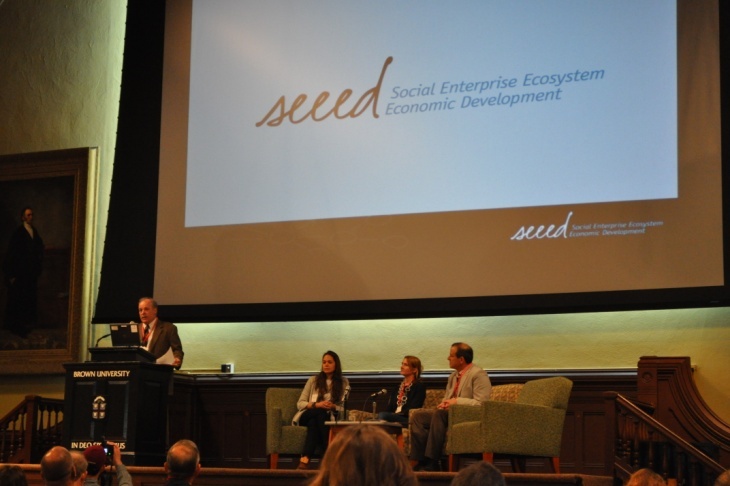 SEEED, a conference created by collaboration between Brown University and Social Enterprise Greenhouse, is a national conference that focuses on what is needed to build an effective social enterprise ecosystem that can drive economic development. 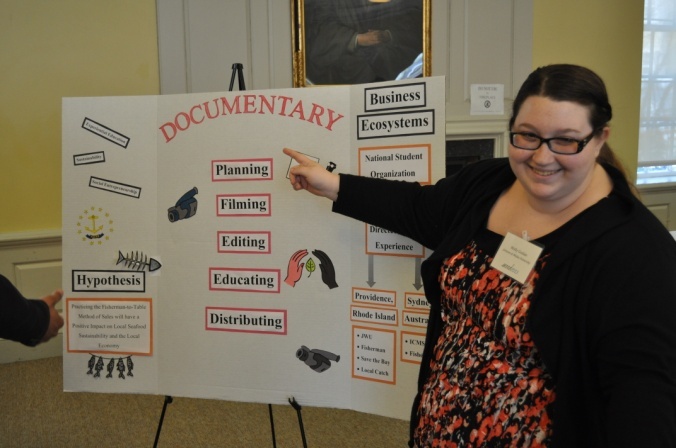 Educators, entrepreneurs, business professionals, students, and those who just wanted to educate themselves, gathered from around New England to see what building social enterprise ecosystems was all about. After being enlightened by the presentations, we all gathered to get to our next destination, they Keeney Arnold Lounge where three of our members only had a few minutes to prepare their speeches. As we waited to begin our presentation, the room had filled up. Considering originally seven people had signed up to sit in on our presentation and discuss ways to expand the social enterprise ecosystem, it was a surprising yet nerve-wracking moment. As our presentation group, comprised of Tim, Molly, and Emily, took the floor, they presented the idea of creating a prototype that may be considered for an exchange program between Johnson and Wales University and the International College of Management Sydney in Australia. By taking part in this program, Molly explained, we as students have the opportunity to expand and collaborate on an entrepreneurial experience in which they face obstacles in and learn how to implement those very skills. For the last week and a half in May, we will visit Sydney and create a documentary on sustainability, overfishing, and the “Fisherman to Table” movement. Emily, our guru on sustainability, explained that the focus we determined ahead of time was on seafood sustainability in the marine ecosystems of Rhode Island and Sydney. We are studying and researching each marine ecosystem, and mainly the issue of overfishing in both regions to compare and contrast the two. The idea is to find organizations that support the cause of maintaining our marine ecosystems, Tim explained, as well as spread our knowledge we gain after our experience is over to educational conferences that we may be able to attend. At these types of conferences we can educate people on the "Fisherman to Table" movement, being that the fisherman sells directly to restaurants and markets, in hopes that we can leave our footprint for future supporters to find a solution. After our presentation, we opened the floor to ideas and questions to the professional listening to our presentation. It was great to hear all the feedback, considering we had never presented our ideas to anyone except professor Moutahir. The rest of our hour was finished with a group discussion on how we can come from all different backgrounds and places and become “thought leaders”. By becoming “thought leaders” we can encourage networking and help others establish their own social enterprise ecosystems. The people we met were vibrant with ideas and had so much passion; it was an inspiring and eye-opening experience to say the least! After our peer learning group, we braked for lunch and spent the rest of the day networking and gathering more information for our project. Overall, it opened our minds to more ideas and made us want to work harder to make sure that by the end of this experience, we leave an everlasting mark on the future DWE students to come. Junior Achievement (J.A) has been an extraordinary experience for me. Working with the first graders in Ms. Orsi’s class at Arlington School was complete joy. They are motivated and are always willing to answer questions; I know Prof. Star Ciccio wishes some college students were like that. I am so glad that I was able to volunteer for this program it has given me patience and very good problem solving skills. No classroom can give you this kind of experience. I know that these skills will help me in my career in the future and even in college now. Maybe it will even help me with my younger siblings. J.A has to be one of the most fun volunteer programs I have done; teaching the younger children is a fulfilling feeling. I hope I have the chance to do it again. Celebrate The End Of The Year With NSO! Come join your fellow NSO members at the end of the year celebration at Launch RI on Wednesday May 1st from 5:00-6:40! You must RSVP in order to attend for free. Email or call Christa Grigorov in NSO at cgrigorov@jwu.edu or 401-598-2345. .
Transportation will be provided or you may drive yourself. Make the trip and celebrate the end of your year with us! Please congratulate the top JWU competitors. First place winners will go on to compete at the SkillUSA National Leadership & Skills Conference (NLSC) in June in Kansas City, Missouri with gold medalists from around the country. Currently one member of the NSO Communications Association, Andrea V. Hidalgo Contador, is studying in Italy. While she is working hard, she makes plenty of time for fun. Collegiate DECA offered students a chance to learn about financial security. Johnson and Wales student Robert Baldauf took advantage of Cash Flow and ended up placing. National Student Organization competitions are coming up, and for those culinary students looking to compete needed some more information. What better to give information with than food? While Dr. Wilkinson and RI State Officer Michael Ferrant were speaking about NSO, Skills USA, and upcoming events, Chef Wollenberg was giving some baking tips while Sharkfest winner student Markiquse Chess was spinning music. This event attracted competitors and “foodies” alike. The music and atmosphere was upbeat. Chef Wollenberg made an array of desserts that tempted the palette of everyone in the room. Culinary competitions are right around the corner and we wish luck to all the competitors. The NE Regional Conference sponsored by the NSO was held on Friday 2/15 at the JWU Providence campus at HAC. There were over 180 competitors in attendance from 11 area colleges to include Bay State College, Bryant College, CCRI Liston, CCRI Warwick, Endicott College, Johnson & Wales University, Manchester Community College, Mount Ida College, Southern New Hampshire University, UMASS Dartmouth, and University of New Haven. Please congratulate the top JWU competitors.